Pictured, from left to right: Chip Edmonds, vice president for college advancement, Lycoming College; Trisha Marty, chair, Williamsport Lycoming Regional Advisory Board; Jennifer Wilson, president, First Community Foundation Partnership of Pennsylvania; Dr. Kent Trachte, president, Lycoming College; and Dr. Philip Sprunger, provost and dean of the college, Lycoming College. 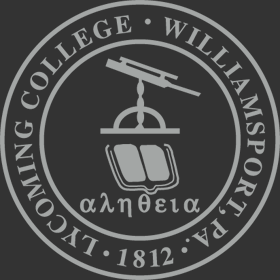 The First Community Foundation Partnership of Pennsylvania (FCFP) has granted $300,000 to Lycoming College through its Williamsport Lycoming Impact Fund. The Impact Fund was established in 2002 to accumulate unrestricted funds for programs and projects with a high community impact, and has to date granted more than $3 million for such programs that directly benefit the residents of Lycoming County. The Impact Fund grant will support the purchase of a Spitz digital technology system for the new Detwiler Planetarium. The planetarium will be the centerpiece of the college’s $8 million Lynn Science Center when it opens in the fall 2015. The new state-of-the-art digital planetarium will be the only one of its kind in north central Pennsylvania. The new facility will offer stimulating, interactive educational experiences in the sciences and other disciplines. The educational outreach afforded by the new planetarium will center on a partnership with Lycoming County’s K-12 schools. The partnership will include professional development for teachers and will provide students with curriculum-aligned and extra-curricular educational enrichment that is not otherwise available to them and reaches them using visual, participatory means that support this generation’s learning style. In addition, the planetarium will benefit Lycoming College students and allow for programing opportunities for local civic groups, clubs and preschools. Despite its age, the current planetarium hosts approximately 1000 community members each year. The new planetarium will allow the college to increase the number of community members that visit the facility. “FCFP is proud to support this project which will touch all school districts in Lycoming County and enhance the academic opportunities of our area youth. Lycoming College is a tremendous asset creating exciting partnerships within the community,” said Jennifer D. Wilson, FCFP president & chief executive officer.